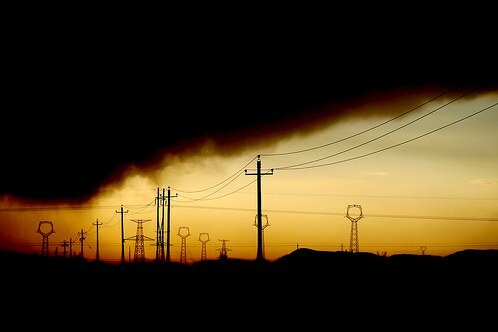 Power lines and pollution in northern China. Photo by AdamCohn. Man-made clouds of pollution, stretching from Beijing to New Delhi, are threatening the water and food security in Asia, according to a recent report from the United Nations Environment Programme. These massive brown plumes of smog – known as atmospheric brown clouds or “ABCs” – consist of soot, sulfates and other aerosol components resulting from the burning of fossil fuels and biomass. Particles and pollutant gases trapped in the atmosphere, snow and ice both absorb and reflect the sun’s radiation, wreaking havoc on regional climate patterns. Countries like India and China are dimmer at the surface than they were before the industrial era. Glaciers and snow packs are retreating. And the atmosphere is heating up.